—Francesco Guiccardini, Maxims and Reflections of a Renaissance Statesman, p.42. 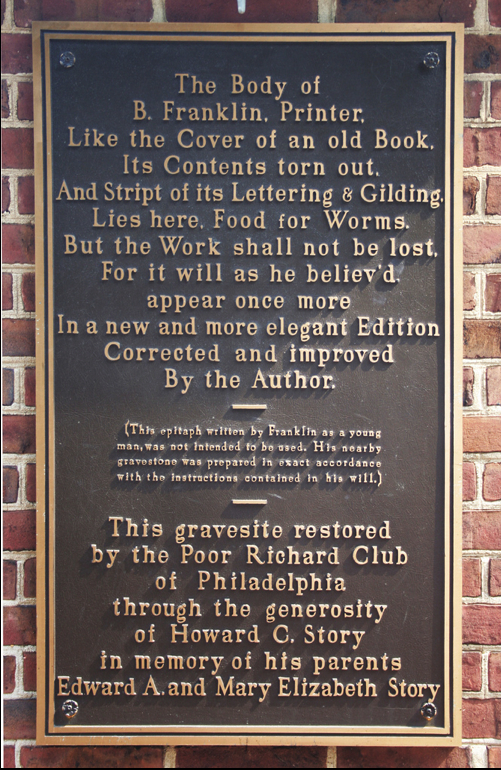 —Benjamin Franklin’s epitaph, which he liked to write out out by hand and give to friends and acquaintances. *The Best Buddhist writing 2006, Edited by Melvin McLeod and the editors of the Shamala Sun, Shamala, Boston & London, 2006, p. 97. **T’ai-chi Touchstones: Yang Family Secret Transmissions, Compiled and edited by Douglas Wile, Sweet Ch’i Press, Brooklyn, NY, 1983, p. 3.